Lincoln, NE– A Nebraska state senator is receiving some major backlash after making very controversial statements at a legislative hearing on a concealed gun bill on Friday. Senator Ernie Chambers is known as the “defender of the downtrodden” for his passionate defense of civil rights. 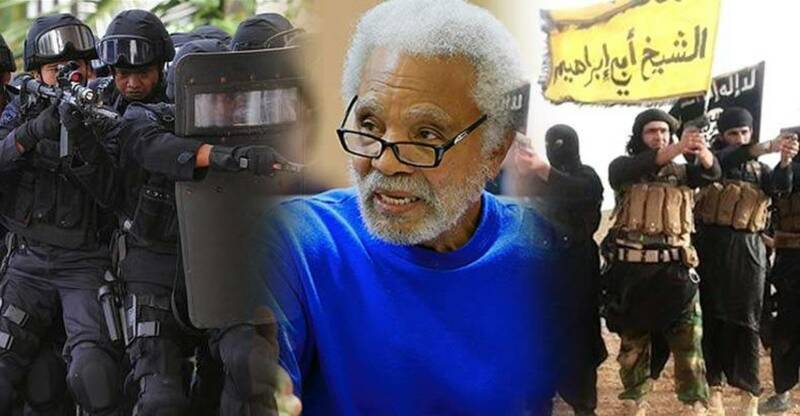 Without holding back, the 77-year-old Chambers, compared American police to ISIS and has since received a barrage of criticism. Chambers asserted that the police are the only reason he would want to own a gun. “My ISIS is the police,” Chambers said, “the police are licensed to kill us — children, old people,” he continued. First elected in 1970, Chambers was re-elected in every election through 2004. In 2005, Chambers became Nebraska’s longest-serving state senator. He was barred from re-election in 2008 due to a constitutional amendment passed in 2000 limiting Nebraska legislators to two consecutive terms. The amendment, however, permits senators to seek re-election after sitting out for four years. Chambers ran again in 2012 and won by a landslide. The beloved senator was pointing out that you don’t have to go halfway around the world to find terrorism. He states that it can be found right here in America where the police have killed 268 Americans, that we know of, in the 84 days since January 1, 2015. That is over three people per day, or another life taken every 8 hours. When looking at terrorism, the U.S. Department of State reports that only 16 non-military U.S. citizens were killed worldwide as a result of terrorism in 2013, the most recent year that there was available data. This means that as a United States citizen you are 58 times more likely to be killed by a police officer than a terrorist. The bold statements drew a wave of condemnation from many of his peers as well as Omaha Police Chief Todd Schmaderer. Mayor Jean Stothert stated in a press release that he should be looking for ways to improve public safety instead of “comparing police officers to terrorists,” Omaha.com reports. Republican State Senator Beau McCoy has also jumped on the bandwagon calling on Chambers to apologize. Chambers has stood firm, asserting that his comments were in response to Omaha Police Officer Alvin Lugod fatally shooting Danny Elrod on Feb. 23. The officer has resigned as of Tuesday. “I’m not advocating that anybody, especially anybody in my community, go out and shoot people,” Chambers told Watchdog.org. However, he stood his ground and was quick to point out, once again, the impunity granted to police when they take a life. All information, data, and material contained, presented, or provided on TheFreeThoughtProject.com is for educational purposes only. It is not to be construed or intended as providing medical or legal advice. Any views expressed here-in are not necessarily those held by TheFreeThoughtProject.com. Thanks to a coordinated attack on independent media by the establishment, this website is at risk of shutting down due to our ads being pulled and our social media pages entirely deleted. We need your help to survive, click below to see how you can make sure we stay around.